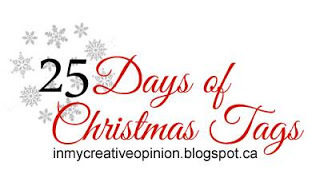 25 Days of Christmas Tags Blog Hop! My tag features several different Paper Sweeties stamps. First I stamped lots of different snowflakes and dots from different Paper Sweeties stamps (listed below) with Versamark ink and heat embossed them in silver and white. I also embossed all of the edges of the tag with Versamark ink and silver embossing powder. 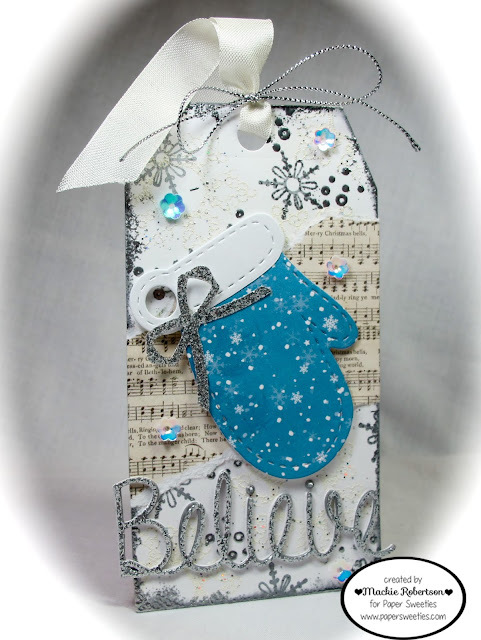 The pretty mitten was made with the Paper Sweeties Stitched Tags #2 Sweet Cuts and some blue snowflake design paper. 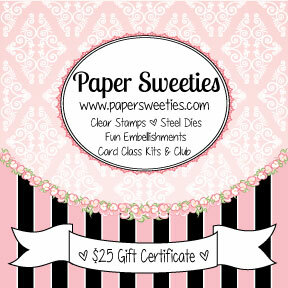 The sentiment is silver glittery paper that was die cut with the Paper Sweeties Joy Sweet Cuts! I added more sparkle with some pretty Paper Sweeties sequins! I think this tag turned out so pretty! for more Christmas Tag Inspiration! Sooooooo gorgeous! LOVING that mitten!!!!!!!!!! Super cute tag Mackie. Love the silver and the blue together. Mackie I love this gorgeous mitten tag! The touches of silver embossing add so much! And I love the sentiment in silver too! Beautiful my dear!!!!! 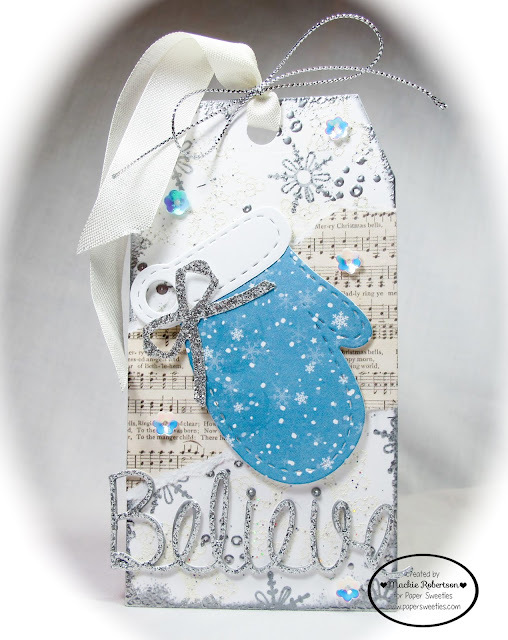 Gorgeous winter tag with the mitten and die cut sentiment...so pretty!!! This is a beautiful tag! I love it. How stunning your tag is, love the colours and the sweet little mittens, clever you! Super cute Mackie! Love the warm and cozy looking mitten and all the snowflakes! So cute!! I love that mitten! GORGEOUS!!! Love, love, love the blue, silver and white color combo. It's the one I'm using this year for my Christmas cards. LOVE your CUTE mitten and PRETTY colours, LOVE your SPARKLING bow and sentiment too!! !